ANNAPOLIS, Md. (Aug. 31, 2016) – While there isn’t a consensus from consumers on the definition of sustainability when it comes to food and farming, the fact that it is an important topic to consumers means Maryland’s farmers should participate in the discussion. 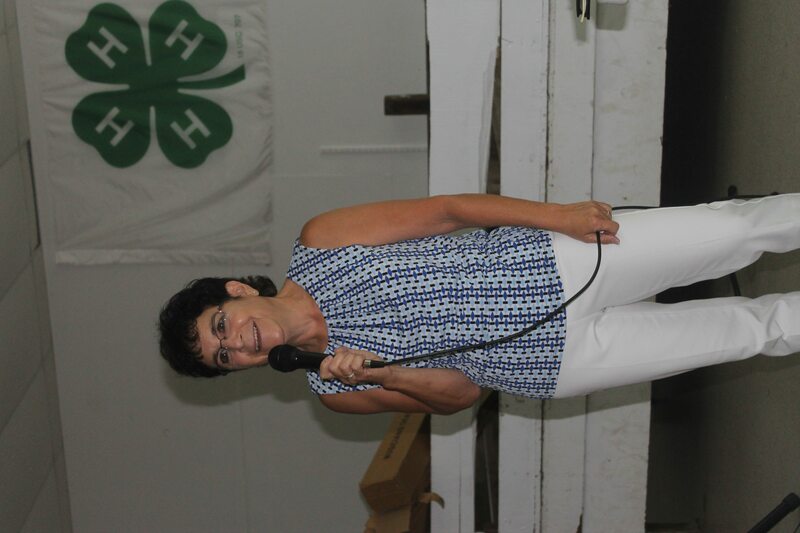 That was the key message delivered to farmers during Sustainability Communications Training at the Maryland Commodity Classic held recently at the Queen Anne’s County 4-H Park. Hosted by the Maryland Soybean Board and Maryland Grain Producers, the training was presented by Nancy Kavazanjian, a director on the United Soybean Board and chairman of the U.S. Farmers & Ranchers Alliance. The session drew more than 50 farmers from Maryland. Kavazanjian referenced a recent U.S. Farmers & Ranchers Alliance Sustainability online survey, which found that half of surveyed consumers couldn’t provide a concrete sustainability definition, although they recognize its importance. Half of those surveyed were Millennials ages 18-34, along with consumer food connectors, or those very active on social media platforms on food issues, and members of the general public. Half of the Millennials surveyed were parents. Consumer concerns about sustainability are often directed toward food manufacturers, Kavazanjian said, which then filters through to farmers. That means Maryland’s farmers need to help shape the narrative about sustainability in the minds of consumers. Through the federally mandated and farmer-funded soybean checkoff program, another recent study found that soybean production proves to be more efficient today than it was 20 years ago. Soybean farmers have reduced energy and irrigated water use and reduced carbon emissions per acre, among other energy and environmental improvements in U.S. soybean farming and processing. The Maryland Commodity Classic is held annually by the Maryland Grain Producers, with additional support from the Maryland Soybean Board. ABOUT THE MARYLAND GRAIN PRODUCERS UTILIZATION BOARD: Maryland’s grain checkoff program collects a half of a percent of the net value of grain sold. The Maryland Grain Producers Utilization Board administers the funds through a board consisting of regional grain farmer representatives and advisory members representing the University of Maryland, Maryland Department of Agriculture, and agri-businesses in the state. Visit www.marylandgrain.com for more info. ABOUT THE MARYLAND SOYBEAN BOARD: The Maryland Soybean Board administers national soybean checkoff funds for soybean research, marketing and education programs in the state. Funded entirely by farmers, the soybean checkoff supports soybean research, marketing and education. The assessment rate is one-half of one percent of the net market value of soybeans at their first point of sale. One-half of the checkoff funds stay in Maryland for programs; the other half is sent to the United Soybean Board. To learn more about the Maryland Soybean Board, visit www.mdsoy.com. 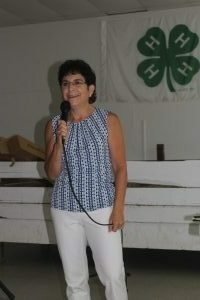 Nancy Kavazanjian, a director on the United Soybean Board and chairman of the U.S. Farmers & Ranchers Alliance, makes her Sustainability Communications Training presentation at the recent Maryland Commodity Classic, which was hosted by the Maryland Soybean Board and Maryland Grain Producers.